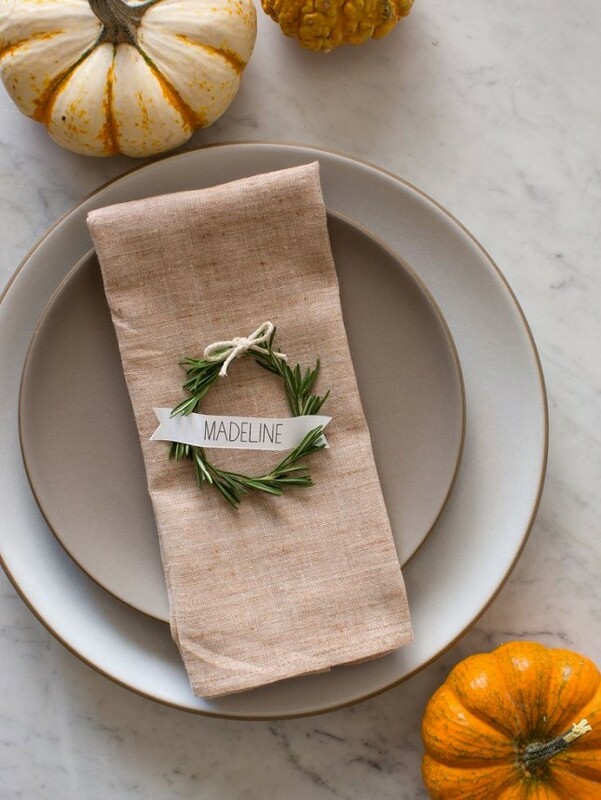 From small family gatherings to elegant seated dinner parties, any table can be elevated with thoughtful, handmade place cards. This round of Weeken(DIY)ing spotlights beautifully rustic options that can be made with a few outdoor materials. 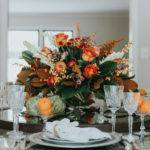 There’s no better way to take advantage of the beauty of nature than with a fall party. 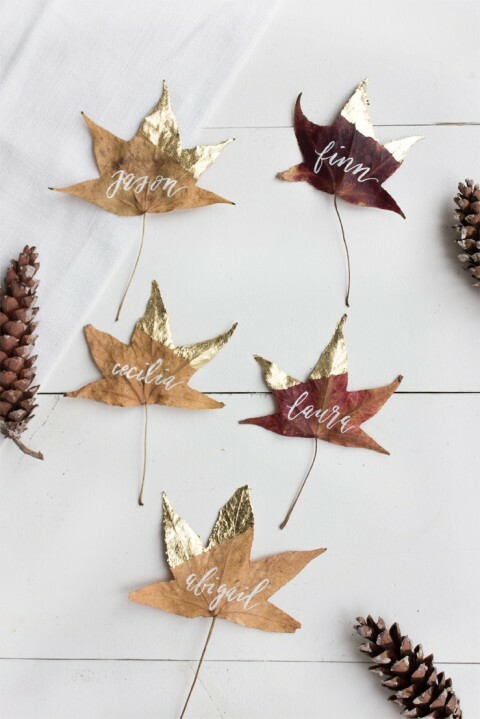 Lark & Linen forgoes typical notecard place cards in favor of crisp maple leaves, gilded to a sophisticated finish. 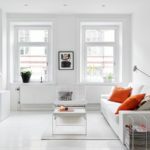 Guests’ names can be painted in white script for a sharp and contemporary-looking contrast. The whimsically named Spoon Fork Bacon has an equally whimsical herb-themed idea for place cards. By tying sprigs of rosemary up with twine bows, the team created little wreaths, perfect for holding name tags. The effect is pleasingly rustic, and everything about this DIY project says Thanksgiving to us. Cold weather conjures up the scent of wood crackling in the fireplace. If you have some spare logs lying around, you might be tempted to try out these Rustic Log Placecards from eHow. 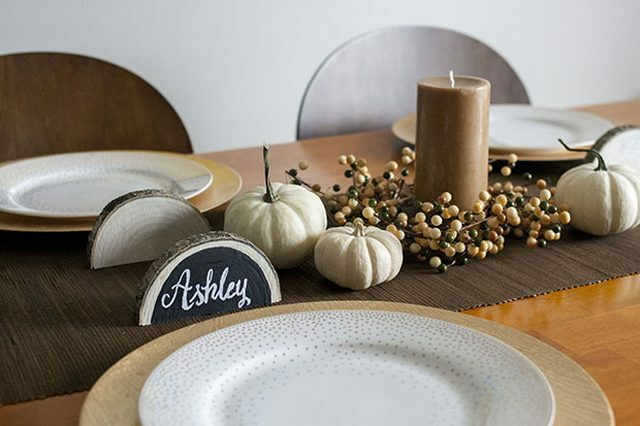 With just a little bit of know-how (pun intended) and chalkboard paint, you can create some truly memorable table settings. As a bonus, these charming log placements can double as party favors for your guests to take home.